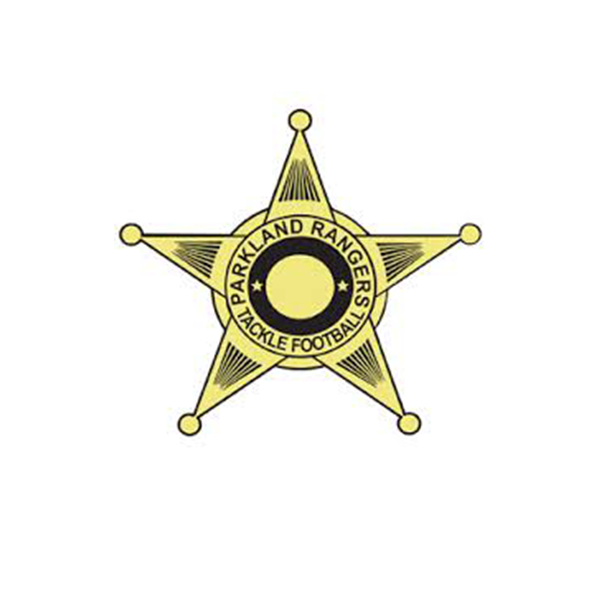 It is with great pleasure that we introduce you to the Parkland Rangers Youth Tackle Football and Cheer Program. The club is comprised of up to 6 Football Team Divisions and up to 6 Cheerleading Squads. All practices are held at Pine Trails Park in Parkland, Florida. Home games will also be played at Pine Trails Park in Parkland, Florida. Beginning here in 2016, we will compete in the Gold Coast Pop Warner Conference (GCPWC) which encompasses Broward County and South Palm Beach County. GCPWC is an affiliate of Pop Warner youth football and cheer. 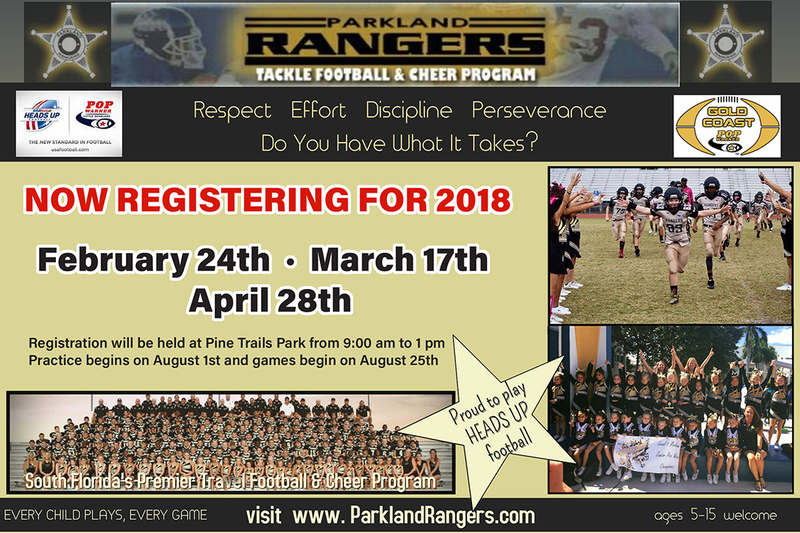 The Parkland Rangers Youth Tackle Football and Cheer Program is dedicated to providing a positive and enriching environment for both the children and the parents. One of the things that makes us different from most Youth Football clubs is our “Must Play” rule. This rule outlines that, in order to effectively teach discipline, dedication and teamwork to each child involved in the program, each player must take the field in every game. In the end, we want the boys and girls of Parkland to develop the skills necessary to not only succeed in team athletics, but also in life.